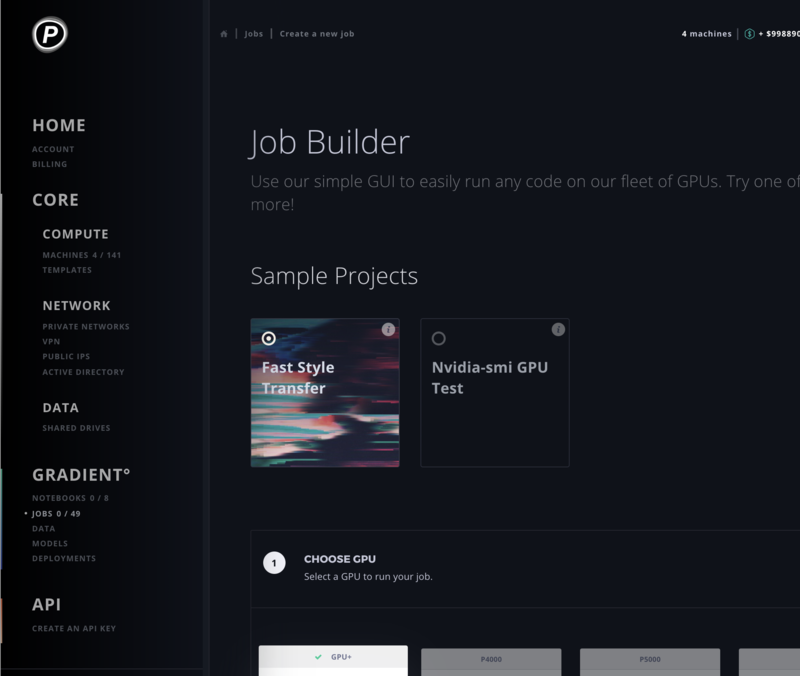 In addition to the summary view on the main Jobs page, we've added a standalone page with all sorts of new functionality. To drilldown into the new Job details page, click the arrow icon next to the Job name. 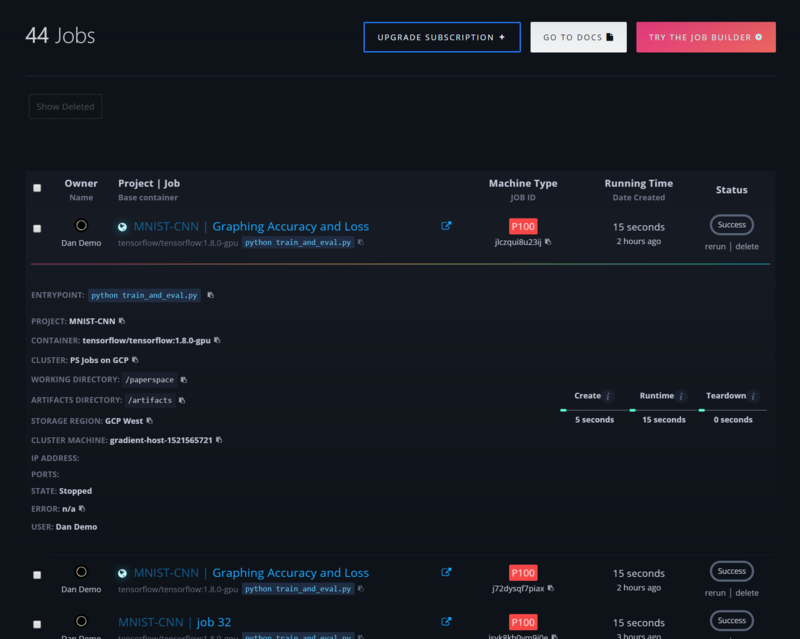 The Job details page includes everything about your Job: Parameters, environment, logs, metrics, and code all in one place. 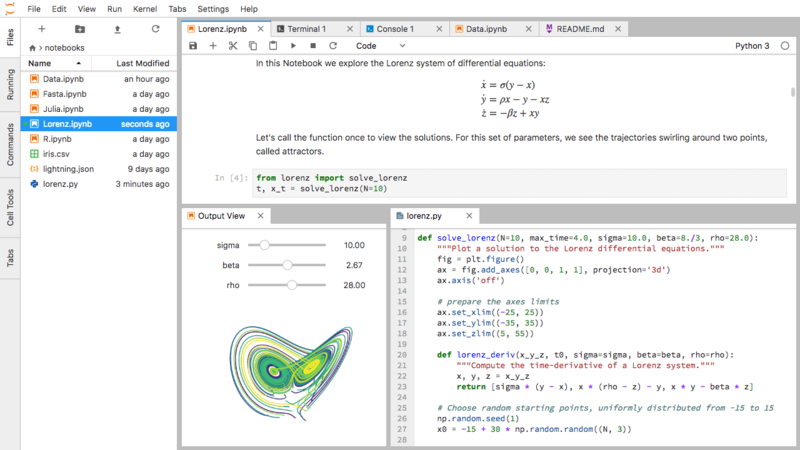 JupyterLab is the next-generation web-based user interface from Jupyter. This new version includes multiple tabbed documents, an improved terminal, customizable shortcuts etc. Here's an overview. We've added the Data Science Stack and the R Stack containers as Base Container options. Getting a functioning environment set up can be a bear. 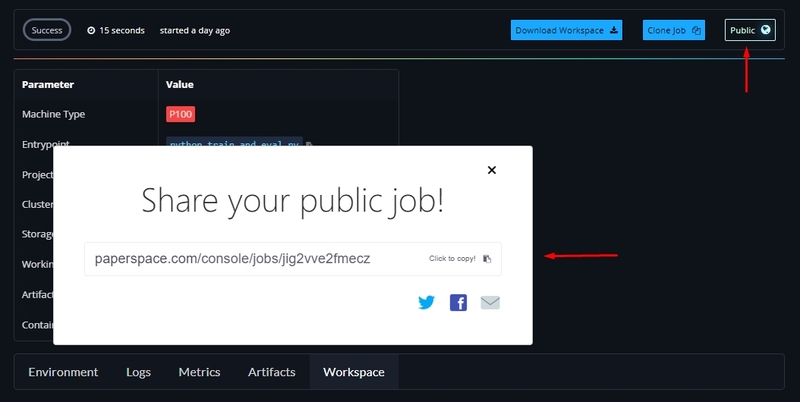 With public Jobs, you can easily package your Job and share it with others. Just click the button in the upper right to make a Job public so anyone can clone it in their own account. You can convert the Job to private at any point. Jupyter is a great environment for managing data which you can now use to manage your persistent storage in Gradient. The persistent storage will be automatically mounted to every Notebook (and Job) in your account. Just spin-up a Notebook and you'll see the /storage directory. Here you can easily upload data, move files around etc. It's important to understand the performance of the model you are training. Metrics like accuracy, loss and validation are often used for this purpose. We added a section of the Jobs page to plot these metrics. Since training can take hours, or days, or even weeks, it's important to track metrics in real time. Just add a few lines to your code and we'll parse the output and convert them into metrics. Graphs will begin plotting as soon as the model begins training and will be available after the job is complete for reference/comparison. 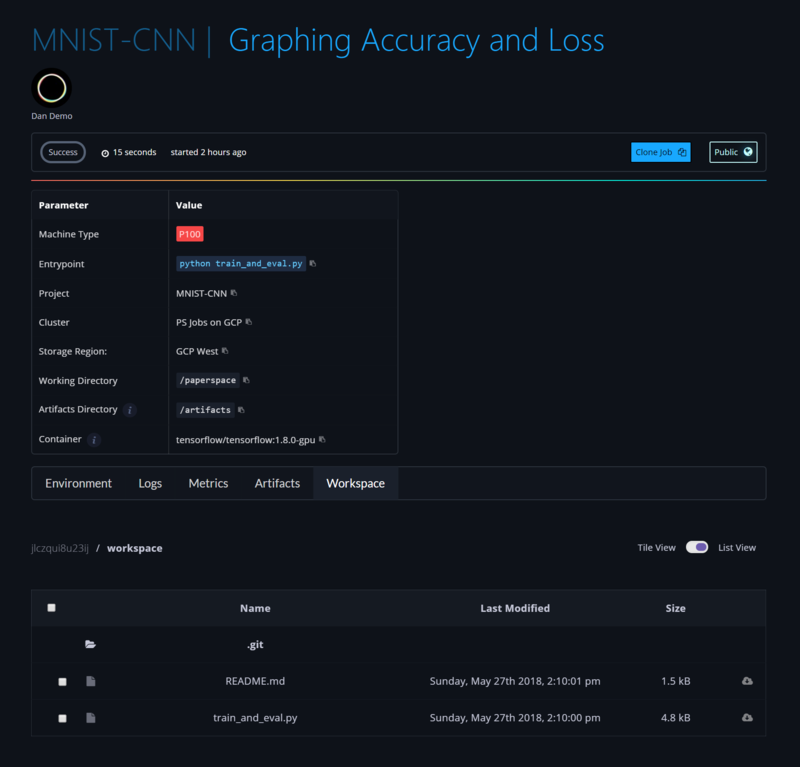 Multinode/Distributed Training, New GitHub App, and More! An in-depth explanation of Gradient Descent, and how to avoid the problems of local minima and saddle points. A tutorial to build a Reinforcement Learning model.